Everyone likes a good games night, but too many charity events focus on the James Bond casino type soirees to bring in needed donations. But what about a good old fashioned board game tournament for your non martini drinking donors? Kids love to gather with their friends, so why not take advantage of this by offering a safe and supervised place for them to gather with a board game fundraiser? Many kids and teens have a favorite game at home—Snakes and Ladders, Sorry, Trivial Pursuit, Scrabble, Trouble, or even Monopoly! 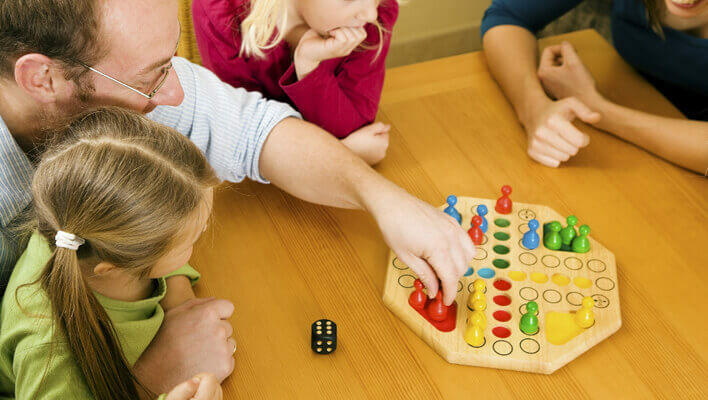 Have families lend board games from home that are appropriate for the age group you’ve chosen to host. All you need to do as the organizer is collect the games, determine if you want players broken up into teams that will work together to accumulate points or individual participants…and roll the dice for an evening of fun! A board game competition can be an easy, ongoing fundraiser to throw once a month or a few times a year with a theme (e.g. make it a Halloween or New Year’s Eve event for kids and teens). How Does a Board Game Tournament Raise Money for your Organization? Board game play-offs can easily raise money for your school or favorite charity organization by charging each team or individual an entry fee for participating in the tournament. Just like poker, players have to pay a flat fee to enter. It’s up to you after that if you want to charge players additional fees per game or not. You might charge a dollar to play per game for younger age groups. While for older age groups you could play rounds of games round robin style with a few surviving winners at the end of the evening. This way the playoff is exciting for everyone involved. With a time limit on game play, everyone will have the same chance to win and you will keep things running on a schedule if you have a round robin style tourney where players/teams knock others out. You should provide a “Player Code of Conduct” that states the house rules beforehand. For an extra fee of course. Like poker tourneys, you can set up seating for an audience, and even though they are not playing, offer a paid drink and snack service, a chance at 50/50 raffle or door prizes for extra donations. With an audience you will need some type of scoring system. It can be as simple as a white board or chalkboard. Just make sure to place it where everyone can see it and where scores can be updated easily. It’s best to assign an M.C. to keep the information up-to-date. You can make a good chunk of money by selling baked goods, chips, candy, coffee, soda pop, popcorn, hot dogs, and bottled water—all donated by sponsors. This can be as fancy or simple as you want. For younger children, small donated toys can be used as prizes to make the atmosphere a fun, carnival type setting. Older teens would appreciate a gift certificate to the movies, an electronics store or clothing store. Let’s face it; many kids don’t play our cardboard board games any longer. However, a video games tournament speaks their language! So what are the differences with setting up a video game tourney? Chances are most of the families in your neighborhood have more electronic games in the house now then they do board games. This should make it easy to collect a few systems and games for the evening. Should I Choose 1 or More Game? Many organizers might prefer to stick to one game to keep things simple, but there are no rules that limit the night to just one game! Host a Nintendo Wii tournament with a whole host of games—that way there is something for everyone. With video games the world is your oyster. Play round-robin, double elimination, or allow winners of one game to challenge anyone from a list of other game winners. Regardless, do keep in mind that the number of players should determine the style first and foremost. You don’t want things to get too confusing with too many players. If you do choose to do a larger video game tourney with multiple gaming systems, you will be able to keep more players involved in the tournament. Remember to establish a time per game to keep the competition on schedule and fair for all players. If you have a teen, you know that video games can really be tiring business. Kidding, but seriously, your players will appreciate drinks and snacks if the tournament is an evening or day-long event. As mentioned above, try to get a local pizza, burger or wings restaurant to sponsor the event for free and then charge for snacks and refreshments—with funds raised going to charity. I like how the variants of snacks are recommended for a game night.